Have you got a micro container garden this spring? Or you need more room for more flowers in your landscaped lawn? It is time to consider window boxes and planters. But it may be tricky if you are a first-timer. You are likely to waste your money with the wrong products. This article will show you our highly recommended PVC window containers and planters for your garden. 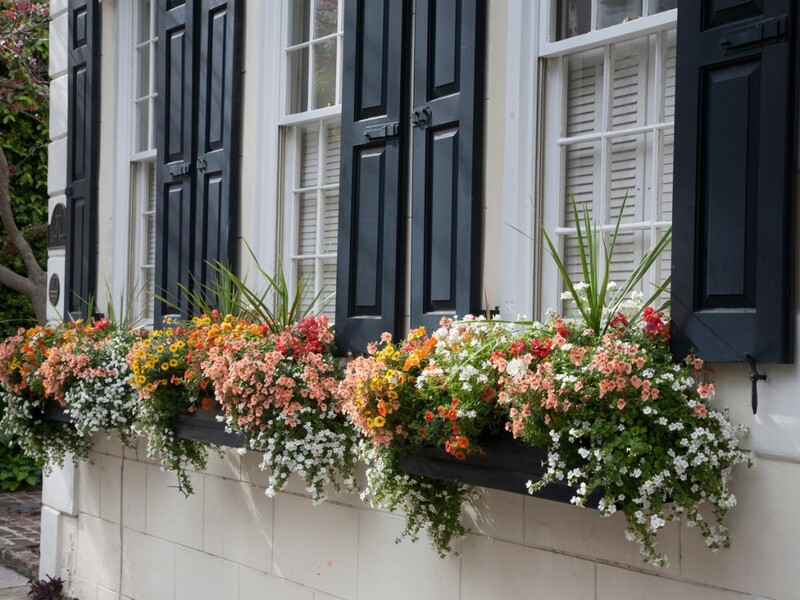 Let us and our experience help you to choose the right window boxes and planters. Why is PVC the suitable choice whereas other materials are roaming the market? See how it weighs up your buying mode. Plastic boxes and planters are sold at affordable prices. But make sure you don’t purchase the overly budget PVC that can’t be recycled. A plastic outdoor planter and container are 100% rot-free thanks to its effective ventilation. In addition, they are able to keep the air flow in the soil and maintain the cool dirt. Plastic is more durable despite its elastic characteristics. This material can stand the chill of winter without getting a chip. The drainage ability is also desirable with more holes in the bottom. Setting the window PVC boxes leaves no mess like other materials. You can get the installation done in no time just with some simple tools. Plastic pots are friendly to children. Your kids can have plants and flowers of their own in these pots without worry of breaking. PVC planters and flower boxes are available in various colors and designs. If you are into wood, but your windows can’t handle the weight of timber, matte finish plastic containers look relatively real like wood. Otherwise, you can paint the containers the way you want. There are models with the self-watering feature which removes your concern of rotting plants while you’re on vacation. We know that plastic is lightweight. You can carry the units around to hide from the sunlight. Despite its versatility, plastics are petroleum-based products. They contaminate the environment if not treated with proper method. Plastic pots can leach chemicals after a long time used. But you can select the less toxic variations like #2 HDPE, #4 LDPE, and #5 PP. Stay away from the #3 PVC, #6 PS, and #7 polycarbonate. The fact that plastic can withstand the weather doesn’t mean it can last for years. Sunlight does degrade its properties, and the freeze makes them more fragile. You don’t want to put a large box on a small window. But if your windows are wide enough, you can order a customized plastic container with size up to 16 ft. If your window receives too much sunlight during the day, pick the light color to reflect heat. You can also consider giving it some shades. You can always find pots that fit your budget considering the wide variety of styles available. You have more to pay than just the pots. Think about the style, color you want, the quantity and the size before buying. Flower planters and boxes only give the plants a house; the care is yours. If you are too busy to garden, you can consider the self-watering feature. Apart from PVC, there are metal, wood, ceramic, fiberglass, or even bag planters and foam boxes. Just for you to have more choices on the list. With the cheerful color of plastic planters and boxes, you can make both your garden and your house more attractive than ever.